Are you Looking for an Aluminum Pergola for Your Home? A distillation of technology and sleek design, they can be arranged in unlimited ways to optimize your outdoor living space. 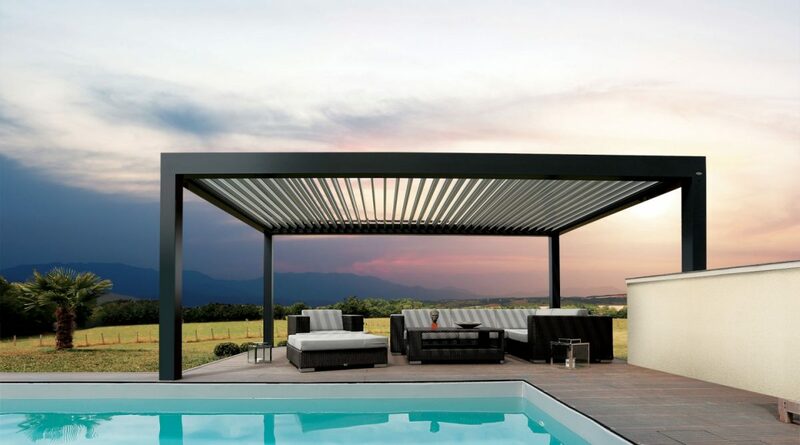 Manufactured using recyclable materials and providing natural ventilation in order to prevent any greenhouse effect, a bioclimatic aluminum pergola is perfectly in tune with the current consumer tendency aiming to reduce environmental impact as much as possible. The demand for Biossun Pergolas is unprecedented. Although relatively new to the market, bioclimatic aluminum pergolas are already thought of very highly and chime perfectly with the new and emerging needs of busy home owners who wish to make the most of their precious outdoor space and leisure time.